Ragheno Park development Mechelen | Health Invest N.V.
Over the next few years the area around Mechelen Station is to be thoroughly overhauled, with the city not only getting a new central station, but the neighbouring properties also being renovated and incorporated into the city’s new centre. Beherman is playing a major role in this urban regeneration project, with the company owning over 14 hectares of land in the planning area, known as Ragheno Park. At present the company is in negotiations with the authorities on cleaning up an area of the site that suffered historical contamination, a job that will cost in the region of six million euros. Meanwhile a start has already been made on populating the park, and the Flemish Red Cross is building its new headquarters in Ragheno Park, which is currently under construction and set to be completed in the course of 2013. This marks the start of the regeneration of the station area that will not only transform Mechelen in the next few years but will also put it back on the map. The strategic expansion of the large station area is one of the major objectives of the Mechelen Municipal Urban Plan, and is Mechelen’s most far-reaching urban regeneration project for the next few decades. The plan holds an international aspect and will place the city back on the map. 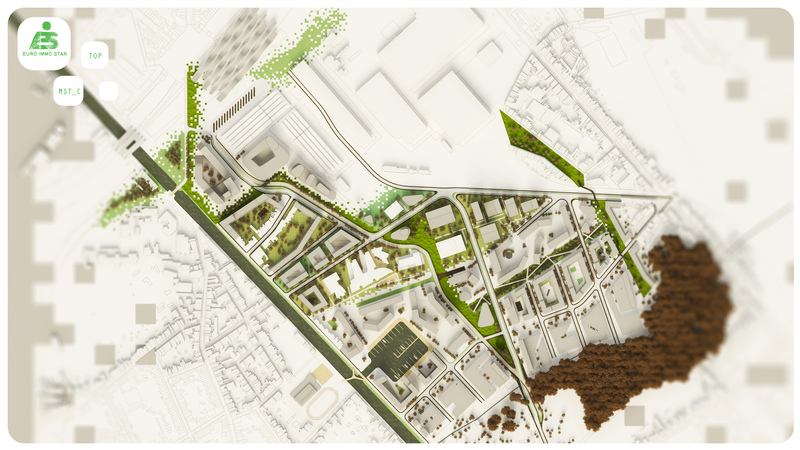 The 21st century Mechelen Rail plan has resolutely opted to employ a sustainable mobility concept, a daring architectural and urban planning idea. The upshot is the construction of a new railway (the Bypass) and a new essential access road for cars and trucks (the Tangent) that will be part of the enlargement of a multimodal train and bus station, as well as the reconstruction of roads and squares around the station, leading to the adjusted circulation of traffic. The Bypass construction is both necessary and urgent in order to enable a speed limit increase from 100 km/h to the 160 km/h required for international trains to pass through Mechelen Station and to increase the station’s capacity within the framework of both the Diabolo and the GEN project, as well as others. Mechelen Station is the biggest public transport hub in the city, the southern part of Antwerp province and the northern part of Flemish Brabant, including for busses. The station provides access to the surrounding city, suburbs and the more remote towns, making it an essential stop for all urban and regional lines. The Tangent and Bypass are part of an infrastructure project that is of a high quality in terms of its architecture and urban planning. 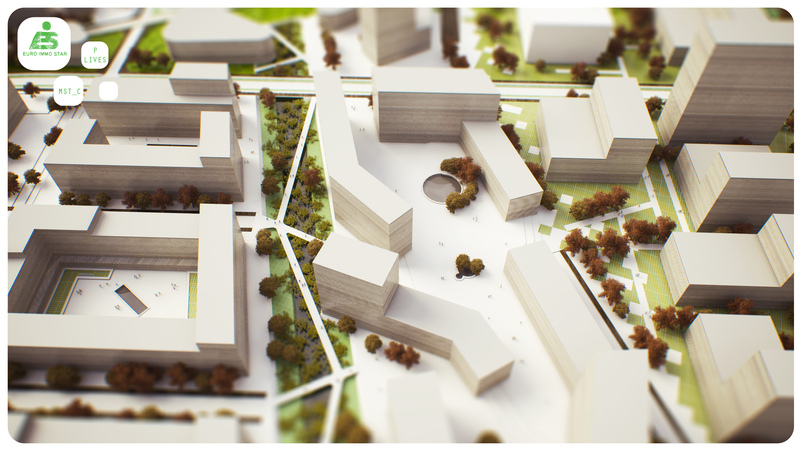 Both the projects have to be designed and constructed using an integrated approach, with the hindrance kept to a minimum for the city, its inhabitants and its visitors. 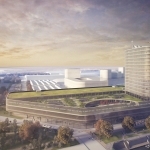 The station building, designed by the architect Salvatore Bono, is to be built with future-orientation and user-friendliness in mind, with important aspects for it and its surrounds being recognisability, multifunctionality, the atmosphere, and that it can be easily reached and accessed, particularly by people suffering from reduced mobility. A 2000-space underground parking lot will also be built. The bus station capacity plans will have to take into account the intention to cater to the expected growth in commuters by the train company using busses. It must be planned so that it can cater to the dynamic future capacity in a space and cost efficient manner. 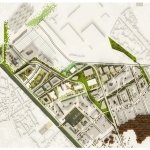 The region is strategically located to the south of Mechelen’s historic centre and covers an important part of the city’s Urban Plan for renewing Mechelen, and the station area in particular. This area includes land owned by Park Ragheno, Euro Immo Star and MG Real Estate. 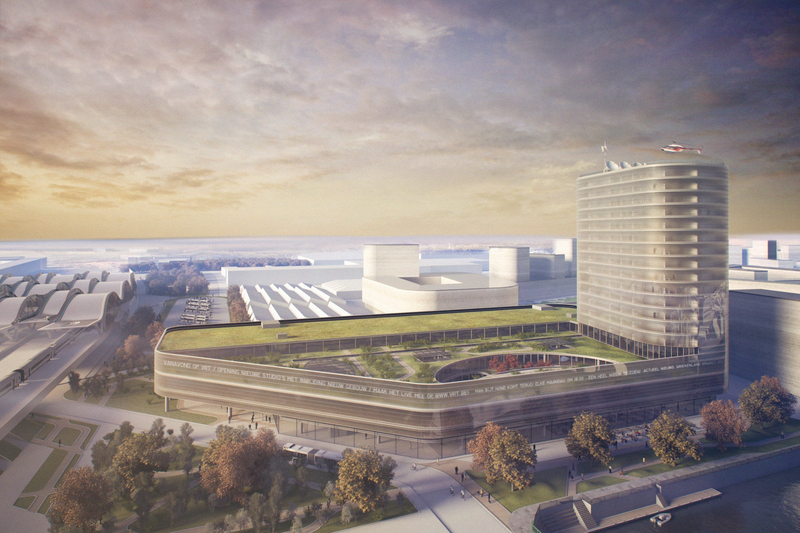 With the urban regeneration and the area subject to the Urban Plan in mind, an underground link is planned beneath the present station parking lot and beneath (and on) the Centrale Werkplaatsen property to the Urban Plan area. All these properties are unutilised, and they can only be reused through the implementation of structural measures, both in terms of cleaning them up and by means of drawing up a new urban implementation plan (see below). The properties are connected to each other and are perfectly suited to a coordinated approach in terms of redevelopment.